Disney has announced that LEGO Star Wars: The Freemaker Adventures will premiere on Disney XD on Monday, June 20th at 10am EST. The Freemaker Adventures is an official part of the Star Wars legacy and is set in the period between The Empire Strikes Back and Return of the Jedi. It is an action-adventure series, but like LEGO Star Wars Droid Tales, there are comedic elements to Freemaker. The lead characters of Star Wars Freemaker are a family of scavengers who operate a salvage and repair shop. While they are new characters to the Star Wars franchise, Disney is promising us there will be characters and locations featured in the show that will be familiar to Star Wars fans, probably similar to how they worked in original elements to Star Wars Rebels. 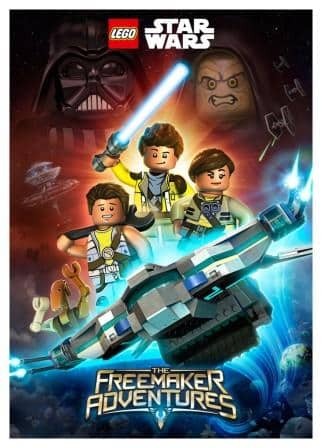 Be the first to comment on "LEGO Star Wars: The Freemaker Adventures Now Has Premiere Date"